Listed below you will see our featured properties. Please note that Atlanta has TWO listing services, namely FMLS and GAMLS. Therefore, most property listings will seem to repeat because of the double entries. If you are in closer to the City of Atlanta, FMLS is sometimes the preferred listing service, but as you get further out from Atlanta, GA MLS is sometimes preferred. 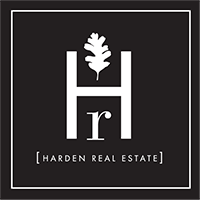 We provide both listing services through our website so that buyers and sellers have the most up to date and complete information available listed homes and condos. If you are curious about any of the properties below or would like a personal tour, please contact us today. We’d love to share the features that make these homes noteworthy. If you would like to see YOUR home listed below, please give us a call at [phone] to receive a personal in-home consultation or click here to get your FREE home analysis.